American City Express provides airport transportation, corporate transportation, executive transportation and party transportation in the South Brunswick area. For your corporate needs whether you are entertaining clients, transporting company employees, or going to and from the airport, we accommodate you with distinctive, high quality limo service. And for all types of celebrations and parties, depend on our limo service for reliable, comfortable, and courteous service. Our limos are always clean, polished and perfectly maintained. They are driven by the best chauffeurs in the business, who are highly professional and rigorously trained drivers. They all have a thorough knowledge of the New jersey area. All of our chauffeurs adhere to the highest safety standards and are committed to outstanding customer service. Their professionalism and driving expertise will earn your confidence and trust. 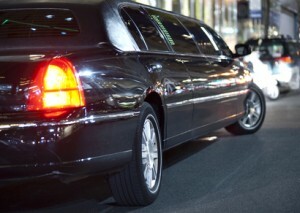 Once you have traveled with American City Express, you will be disappointed by any other limo service out there. We invite you to try us out and see for yourself what we can do for you. When you are looking for a luxury limo South Brunswick service for any reason, contact American City Express for a quote today. We look forward to exceeding your expectations.